Former US pro Ivy Pochoda's debut novel, The Art of Disappearing, was published in 2009. Sustaining a career as a sportsperson and writing a book demand dedication and perseverance. But what other, less easily defined, psychological aspects might the two disciplines share? Tickets are available for this year's ISS Canary Wharf Squash Classic, to be held at the East Wintergarden at Canary Wharf, London, from 19th-23rd March. The event - now in its ninth year - is one of the best on the professional circuit, and has a reputation for its great atmosphere and innovative approach. The full line-up is yet to be confirmed but reputation suggests it will attract a strong entry list. The recent news that the delayed final of the World Series Squash Finals 2011 will not be played brought a disappointing closure to the showpiece PSA tournament. The final was cancelled back in January after high winds threatened to lift the huge temporary structure from its moorings. The smattering of desperately-needed UK press coverage that followed focussed almost entirely on the cancellation rather than on the ground-breaking presentation of the event itself. Squashblogger was there on semis night, and can vouch for the organisers' predicament; the weather was truly exceptional towards the end of the week, and it really was simply bad luck. Also a huge shame. The PSA, led by Ziad Al-Turki, had reportedly pumped $1m into the tournament, the men's tour finale, in its second year after moving to Queens' Club from its former home behind Liverpool Street. Walking down Palliser Road last year I was directed beyond the tennis courts to an hangar behind the clubhouse. 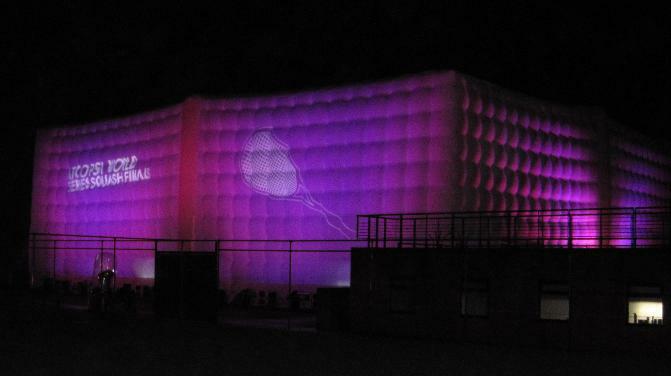 This time a giant, spotlighted inflatable - like a fat pink slab of marshmellow (see pic) - had parked itself infront of the building, screaming that, for a week at least, Queens was all about squash. I estimated the venue's capacity at 400, and squeezing into my backwall seat I reckoned it 85% full – and that was just for the first women's exhibition. The logo of the high-end shirt brand Thomas Pink was plastered everywhere (was there a sponsor last year?) 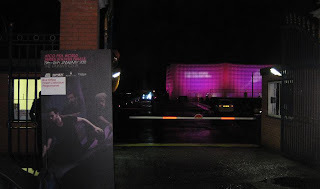 - neatly matching the colour of the spotlight gels: an early indication that the design of the event as a holistic spectator experience had been given real thought. BBC commentator Jake Humphry (the F1 guy) and Sky presenter Vicky Gomersall were our hosts. Their professional objectivity, coupled with the fact that they too were experiencing something new, helped highlight the unique skills and abilities required of the sport: vital for attracting and retaining new spectators outside of the squash community. Both seemed genuinely impressed by the whole thing, not least the fitness, skills and affability of the players. Humphry, an increasingly high-profle figure in BBC Sport, was even tweeting nice things about the tournament over the week. I wouldn't want to speculate on his fee, but with well over a quarter of a million Twitter followers, this was publicity the sport has struggled for so long to buy. To the squash itself. In the first warm-up a relaxed Jenny Duncalf tossed out enough snippets of quality to remind anyone everyone she's graduated to the big league. I'd only seen her opponent, Camile Serme, on video before, and was taller than expected, relying on her reach to volley kills from the T. Duncalf quickly got wise and by the third was pushing her around like nobody's business, Serme repeatedly performing the splits in retrieval. The crowd were also getting stuck in, buoyed by the lights, music and familiar BBC/Sky faces. The whole mise-en-scene seemed calculated to attract a younger crowd, and if this was not really reflected in the punters (a Canary Wharf-esque mix of smartly dressed professionals – including plenty of women – and your squash die-hards), the spirit was certainly rubbing off. The whole thing looked great, from the instant TV replays (still not a given at pro events) to the nut-brown, Battersea-loft-apartment court floor. A tired tin from Serme gave Duncalf the match 11/8, 11/13/ 11-7. “Great setting!” Jenny gushed afterwards, "love the colour scheme!" The next thing that the organisers got right: the between-game entertainment. At many events a couple of court cleaners do their thing whilst everyone decamps to the bar. Canary Wharf has been the most inventive in plugging this gap, trying all kinds of stuff to keep people in their seats (I particularly enjoyed the heart monitors linked up to players a couple of years back). It's not a problem unique to squash: half-time dancers/bands at football matches are largely ignored. As are the presentation ceremonies after finals. Squash is different in that the majority of the audience are much closer to the action; there is also a ready-made 'stage' that offers little stimulus when empty. Deciding how to fill it is only half the problem. How do you also manage a refreshment break and get people swiftly back in their seats? Tonight's entertainment was street dance troope Zoonation. Something different, announced as 'the next part of the evening' rather than 'something to watch while you're having a break'. The crowd seemed to genuinely enjoy it, and it provided a subtle but effective way of retaining the momentum of the evening. More banging music heralded the second women's match between Vanessa Atkinson and Laura Massaro. This lacked the quality of Duncalf/Serme, but was a great advert in front of the BBC/Sky bods for free-flowing, fewer-lets PAR squash. Atkinson was always half a step behind in the first, with that scampering run of hers, losing it 7-11. She fared better in the next, lobbing from front-court with a straight backhand to get herself out of trouble. Massaro's greater fitness was always going to be the deciding factor, however, and she secured the tie after a wonderful match-point rally. For the men's semi between James Willstrop and Nick Matthew I plugged in the free radio ear-piece to find Barringtons Junior and Senior at the mic. Jonah described the surroundings as "stupendous", and with the forthcoming Olympic bid in mind it does appear that every effort is now being made to benchmark standards of event presentation to a level that would appeal to IOC officials. Errors from Willstrop kindled early frustration, and it was apparent during the first game it was not going to be his day. Four or five years ago it seemed that Willstrop would dominate the English game for the foreseeable future, though Matthew's rise to number 1 in the world has been built in part on a phenomenal run of success against his England team mate. This was Matthew's eleventh win in a row, in a run that stretches back to 2007. The final score was 11-4,11-6, 11-8 - rather an anti-climax given the majesty of the surroundings. "My body just wasn't interested," said a demoralised Willstrop afterwards. Amr Shabana dispatched a slightly injured Ramy Ashour 4-11, 5-11, 5-11 in just 27 minutes to set up the final against Matthew. Shabana still hasn't won a tournament in England, and the cancellation of the final on the Saturday meant that he wouldn't get the chance to take on the World Champion. They and the organisers deserved better. * Though it has just been announced that there will be a parallel WISPA event at the same event in January 2012. Hurray! Permanent BBC legacy for minority sports? UTV Media - owner of TalkSport - has challenged the BBC to create a permanent Olympic legacy for minority sports by giving them more airtime. The BBC has announced plans for a "pop-up" digital radio station - BBC5 Live Olympics Extra - to broadcast minority sports during the 2012 Games. But UTV Media have challenged the BBC to make more space for minority sports after 2012. A number of sports have already backed UTV's call, asking the BBC to "codify (their) radio's responsibility to sport in all its guises, not just popular sports such as Premier League football". These include the Angling Trust. As far as I'm aware fishing is not an Olympic sport*, which suggests that the 'legacy' might be broadened to benefit those sports which haven't reached that hallowed status. Time for the WSF to add their support? * Though (nearly) was in 1900! Growing female participation is the focus of this year's World Squash Day, which will take place on Saturday 5th November. "Female participation is a very important ingredient for every sport and squash is no exception. Squash has a long and varied history of junior and adult female participation and indeed competition dating back more than 100 years, and is such an ideal sport for women and girls who want to have fun and keep fit." As a former successful head of WISPA (the women's tour body) Shelley should have plenty of ideas about how to exploit the best assets of the elite game to boost grassroots participation. The World Squash Day website will feature events taking place around the world (though at the time of writing it needs more work! ), so if you're planning something at your club please upload your details/photos. Speaking of promoting the women's game ... I notice the Dread Sports Series tournament is currently taking place in Washington DC. You can see the poster here (left). Pretty dramatic, don't you think? More tasteful than the 2007 Toronto Open effort, (below left), artwork I doubt Shelley and the rest of the WSD organisers will be pulling out on November 5th. I found some follow up on this image on an advertising website: arguments for and against etc. - you can read the sweaty-palmed comments here. 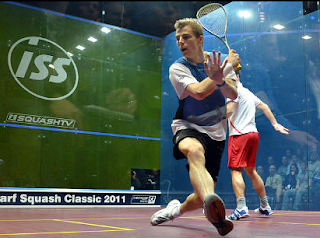 The World's top PSA players will once again contest the ATCO PSA World Series Squash Finals 2011 at Queen's Club in January. Top of the eye-wateringly strong line-up will be newly-crowned World Champion Nick Matthew. The event is taking place early in the new year: 11-15 January 2011, at Queen's Club, London. 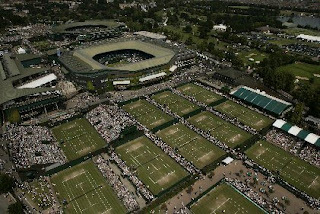 The Super Series final was last held at Queen's in 2009 after moving from Broadgate Arena in the City of London. That tournament was billed as the launch of '21st Century Squash', with the promoters employing a marketing/design agency to generate publicity and improve the look and feel of the live event. January's event looks to be building on this theme, with spectators being treated to an "iconic inflatable structure, specifically created for the show-piece event. Inside the structure the ‘Z-Court’ will contain the very latest in squash viewing enabling uninterrupted 360° views of the action. "The purple glass court features innovative lighting and natural flooring, and combined with the new coloured ball has been specifically developed to capture the speed of the game on camera and produce the best quality viewing experience." Squashblog will be there again - see the report in the new year. Women's boxing and golf grabbed the headlines, with squash hardly warranting a mention. After recent optimism that squash would be put forward for the vote in Copenhagen for inclusion in the 2016 Olympics, the sport will now not even be put through to the final voting stage. Squash's mass media profile, as evidenced by the reaction to the victory of golf and rugby sevens, is still woeful. Yesterday, no UK newspaper I read (save the Telegraph) or radio coverage provided any analysis of squash's merits, or those of the players who could quite conceivably win medals for Great Britain. Discussion centred purely on the merits of the two winning sports, with their heavyweight media profiles and marketing power to attract new audiences being cited as the factors that clinched it. Some discussion was given over to whether participants in rugby and golf would see an Olympic gold as the pinnacle of their sport. Journalists mostly agreed that it wouldn't. But they also agreed that it wouldn't matter. BBC Radio 5 Live spent a good part of its post-evening news programme discussing the vote. When squash was mentioned as one of the losers at the end of the discussion, Matthew Pinsent – briefly an IOC official himself - muttered something about the winners easily being the best two candidates on the list. That – together with the fact that almost all the other sports journalists I have heard/read over the past 24 hours did not even mention squash – tells you all you need to know. Briefly, where did squash go wrong? Emails and articles seen by this website from as late as last autumn showed that a centralised campaign had barely begun, when the golf and rugby marketing machines were moving into top gear. What had squash's administrators been doing from the (far closer-run) 2012 vote up until then? The organisational changes at the top of the WSF and PSA may turn out to be for the better in the long term, but all the changes in personnel over the past 18 months surely cannot have been conducive to a co-ordinated campaign. Efforts in the past few months have showed a greater professionalism, but it may all have been too little too late. Badminton caught the imagination of the UK public in Athens, just as swimming did in Beijing. This was due to performances in Olympic games, of course, but individual successes would not have had such far-reaching implications for those sports if the media had not got onboard to celebrate them. Maybe squash was always destined to be unable to compete with the money of golf and rugby. If that is the case, then maybe next time there won't be other challengers with such muscle. However it was depressing to see, after a spirit of optimism that pervaded the squash press over the past few months, that during the vote IOC delegates quite obviously never intended to press for squash's case. The vote in the run up to London winning the 2012 Games now looks in hindsight like the best opportunity for a generation. The squash 'community' is – relative to the other sports mentioned here - a small one, and those who have a stake in it, in may different forms, are - perhaps understandably – hugely protective of it. The long-term consequence of this has been a tendency to look inwards and resist outside help (interference?). There has been lots of behind-the-scenes discussion this year – much of it ill-tempered - about media rights. These differences need to be resolved: simply fighting for one's corner will not deliver squash its long-term objectives. Those agencies quite content with their stake in the sport should realise that they would have more to gain from smaller slice of a bigger pie. From all the correspondence I have received, those arguing about the best way for the media to serve the sport all seem to have the sport's best interests at heart. There is a wealth of energy to be tapped and some great ideas being suggested. It disappeared from the streets of the 'Smoke for a few weeks but appears to have found new backing. Flip to page 46 and you'll find a profile of England's Nick Matthew in the magazine's 'Sporting Bodies' feature. The Observer featured James Willstrop talking about 'how he got his body' in a similar piece a few weeks back. Squash's bid for Olympic status gained pace last Saturday 23rd May with the Squash 2016 logo being unveiled around famous London landmarks on World Squash Day. 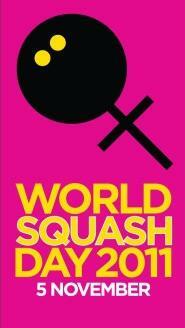 Elsewhere around the world World Squash Day achieved its biggest level of participation to date. The day began with Phil Buscke of The Datsuns performing a bungee jump live on TV from Auckland Harbour Bridge in New Zealand (see bottom). Leading professionals lent their support to the bid by joining in hundreds of Olympic-themed events, all taking place on the same day, Saturday 23 May. The biggest event was held in the USA at the Apawamis Club in New York, where squash legends Jonathon Power, David Palmer and John White took part in a 100-a-side 'Battle of the Border' fixture. World number two Natalie Grainger, a World Squash Federation 2016 Ambassador, who participated in the event, said: "It was fantastic to see so many leading players supporting the event and more than 500 people came through the club's doors on the day. The event raised money for the bid, showcased squash in the most positive way and helped to raise the profile of the sport." "From the professionals of North America, through Europe and Asia to the townships of Soweto in South Africa, thousands of children were entertained to free coaching lessons and a vivid introduction to squash on a very special day for the sport which boasts 20 million players across all five continents. Rio, Chicago and Tokyo - three of the cities bidding to host the 2016 Olympics - held special events throughout the day. As well as open days at every squash club, enthusiasts took to the streets in numbers to be photographed waving their Squash For 2016 banners at prime locations in each city. The 'Squash For 2016' cry rang out in all 14 States of Malaysia where more than 53 squash venues at squash centres, clubs, colleges, universities and schools - even Armed Forces centres and Police Squash Clubs - joined in this major effort. The Japan Squash Association hosted a press conference in Tokyo attended by more than 20 members of the National media. Other open-air events took place in India (with photographs outside the Taj Mahal and the Gateway to India) and South Africa (Table Mountain). In Cape Town, South Africa, Villager Squash Club hosted a "Last Man Standing" tournament. It turned out that the tournament should have been titled "Last Person Standing" since a woman, Siyoli Lusaseni, was crowned the Champion, after five hours of squash and 24 games with different squash enthusiasts! Another huge event in terms of participation was in Mumbai, where Indian ace Ritwik Bhattacharya was the star turn in a programme of State League fixtures with 128 players from Maharashtra between the ages of eight and 65. Illustrating Squash's cultural diversity, Iran and Nepal held massive press conferences, arranged national TV coverage and invited prominent IOC guests. Women's world No1 Nicol David, also a WSF Olympic Ambassador, hosted an open day at her training base in Amsterdam, while back home in Penang, Malaysia, she raised $10,000 towards the Olympic Bid by auctioning off her collection of clothing and rackets which she had worn and used to win major tournaments during her illustrious career. Without doubt the most exhausted supporters of the event were at the Leñadura Country Club at the southern Chilean city of Punta Arenas, and at Thurles Squash Club, County Tipperary, Ireland, where club players held 24-hour squash marathons. Mexico's world No16 Samantha Teran, another Olympic Ambassador, headed the celebrations in her homeland which featured activities at many of Mexico's most important clubs, and concluding with a gathering at the Angel of Independence in the centre of the capital. A special tournament to celebrate Squash 2016 Day in Sao Paulo, Brazil, attracted not only hosts of squash enthusiasts to the Clube Paineiras do Morumby, but also the famous Brazilian singer Daniela Mercury. At the end of an exhausting, but hugely successful weekend, World Squash Day founder Alan Thatcher said: "The event was massively supported by national federations, and some extraordinary individuals came to the fore to organise amazing events in so many different countries. "The energy and commitment from so many sources was almost overwhelming, and clearly illustrated the passion we all have to see Squash gain its rightful place in the Olympic Games." With just two days to go until World Squash Day 2009, squash fans around the world are preparing for events to publicise squash's bid for inclusion in the 2016 Olympic Games. WSD has been branded 'Squash 2016 Day' this year in support of the Olympic bid. 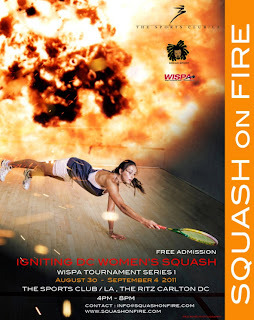 All squash fans are welcome to attend. At the end of the day the plan is for everyone to adjourn to Hyde Park for refreshments. The organisers are asking groups around the world participating in WSD to send in photos so that they can 'show the IOC that squash is a truly global sport' ahead of the crucial Olympic vote later this year. The Squash for 2016 banner will also be unveiled in front of many of the world's most iconic buildings in cities such as Chicago, Madrid, Rio, and Tokyo. Squash's hard working pros are also supporting WSD: Nicol David is holding an auction of her prized tournament memorabilia in her home city of Penang, while Nick Matthew will be heading to Milan for the Five Nations Tournament with his Hallamshire, Sheffield, team taking Squash 2016 banners, flags and T-shirts to the Polisquash Sports Club. The day will start with Phil Buscke, guitarist with Kiwi band The Datsuns, bungee jumping from Auckland Harbour Bridge in Squash 2016 t-shirt live on TV. Finsbury and Sobell courts to be saved! We've reported the latest developments on the future of the Finsbury and Sobell leisure centres for the past couple of years, focussing on the threat to the squash courts there. 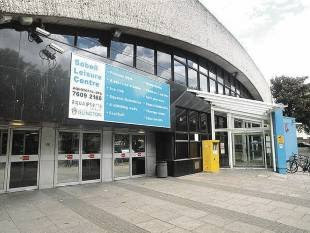 So today's news that Islington Council is going to shelve its plans to rebuild the premises (which would have almost certainly reduced the numbers of squash courts) due to tumbling property prices will be a sigh of huge relief for all the squash players in the community who use the facilities.